Do you picture yourself sitting on a glistening white sandbar surrounded by beautiful turquoise waters gently lapping at your toes? Then you may be picturing yourself on the island of Bora Bora, the quintessential image of a tropical island paradise. The Cook Islands are the perfect place to carry out daydreams of being castaway on a tropical island – complete with room service, internet, and, possibly, the warmest welcome in the Pacific. Located in the South Pacific, Fiji is directly north of New Zealand, and within a degree of perfect. These islands have everything one could want in a tropical paradise. Hardly an island, just an atoll in the South Pacific, this speck of real estate is a haven for seabirds. Terns, noddies, shearwaters and red-trailed tropic birds come to this island to breed. Moorea's breathtaking beauty and friendly people will stay in your memory forever. 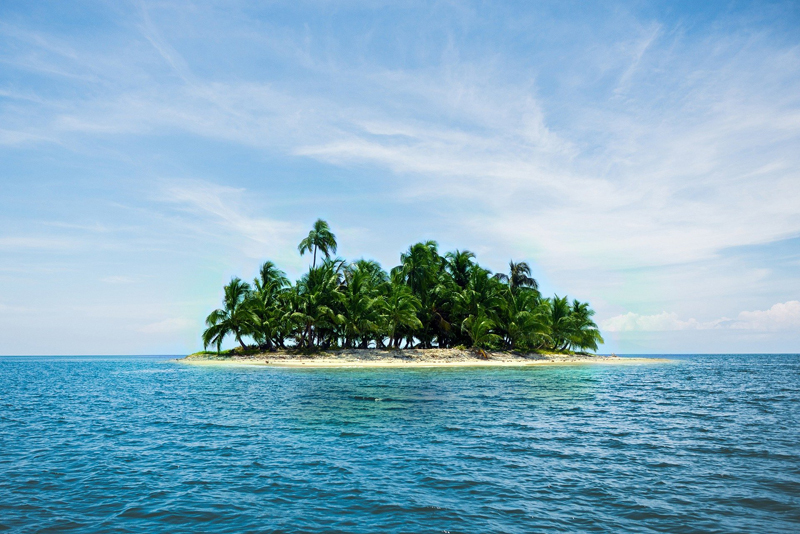 Check out this picture postcard perfect little Polynesian island. Pack your pareo and head for one of the most romantic islands in the world -- Tahiti. Questions about an article or island mentioned? Want to share an island experience? Or want to ask about an island that you don´t see an article on yet? Post any and all island related thoughts and questions here. Subscribe for free weekly updates from this Island Travel site.